When I watched the first Transformers film a few years ago, I felt there were a few things missing amidst all the explosions and high-paced action. Michael Bay has in fact contributed to the development of the brainless summer flick: brash, loud and sometimes fun, but without soul. Close to none of his films take time to create believable characters, making us care little about their faith as a result. Whereas the Transformers franchise and every other major blockbuster fails to create characters and storylines we can connect with, Guillermo Del Toro’s Pacific Rim cares enough to present an array of characters whose lives are explored with enough attention for us to sympathize with their personal struggles. The film is a ray of hope in the future of the Hollywood blockbuster because it manages to be epic, explosive and a lot of fun, without forgetting the individual, scaling down when necessary. Pacific Rim relies on special effects not just for the sake of pure entertainment, but in order to create sequences of film that are truly beautiful and artfully presented. Many scenes follow a crescendo, starting quietly and ending with a bang that is usually accompanied by a visual language that emphasizes the importance of specific moments throughout the film. 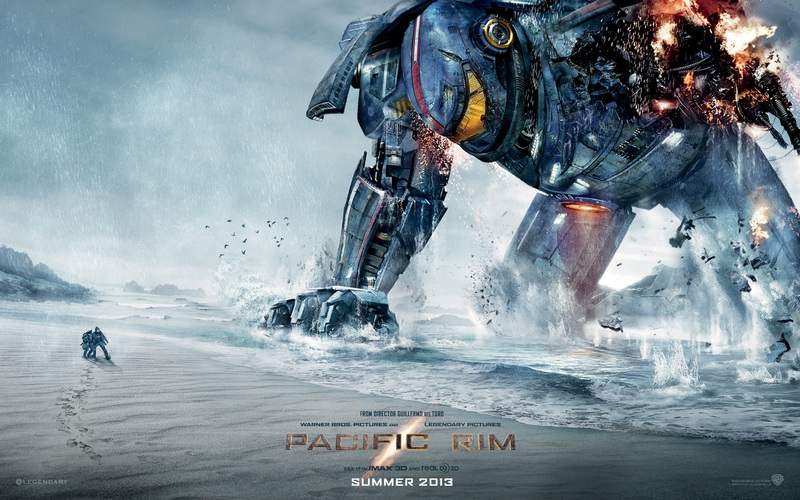 What is perhaps more impressive about Pacific Rim is that it does not get swallowed by its grand scale. 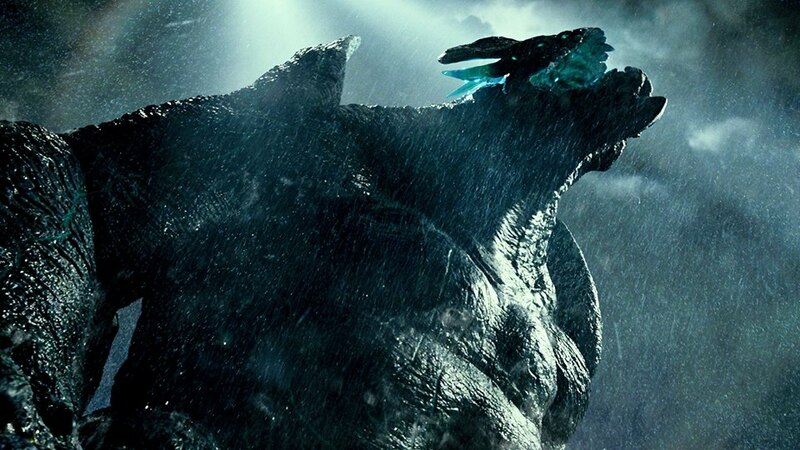 Somehow Del Toro makes the fights between giant robots and monsters understandable on a visual and physical level. Rarely do we get lost in the destruction. There is a linear quality to the battle sequences that allow us to know where everything is in relation to each other. The result is that we always know what is happening and there is none of the dizzying effect that I remember so vividly from the Transformers franchise. It becomes apparent when watching the film that Pacific Rim is a labor of love that emanates from the imagination and the tasteful direction of an artist who is uniquely interested in science fiction. Though it may not be as original as the Hellboy franchise, or as captivating as the wonderful Pan’s Laberynth, Del Toro manages to craft a world that is convincing, oozing with life and creativity. The art direction is superior to that of most blockbuster films, with an array of details that enrich the experience and make us say “that’s kind of cool”. The film critic inside of me was tempted to start taking the film apart, zeroing on the cheesy moments and the number of clichés it relies on. The temptation is there and it may be important for anyone who has not seen Pacific Rim to be aware of these little warnings. However, the film manages to rise above it all, and once time passes, its little offenses seem small and unimportant to the whole. If you want to see a grand spectacle full of excitement, heart and some awesome one-to-one battles between some clunky titanium-clad robots and ginormous monsters with anger issues then Pacific Rim is exactly the film you have been waiting for. Excellent review. Very much agree with you. Pacific Rim definitely has its cheesy moments, but it’s got a good heart and is damn entertaining. It’s a refreshing summer blockbuster film in among the countless comic book films! I actually can’t wait until it comes out on Blu-Ray so I can get my hands on it and waste a few hours on the extras and bonus features. Awesome review Niels!! Yes you are absolutely right, it’s one of those fun, bombastic entertainment but with heart! I actually care about the characters, as they show the people inside those humongous Jaegers! Can’t wait for the BD. I LOVE the score as well, could be my fave of the year!